'Toktok' - have your say! The many journalists working in dangerous and sometimes life-threatening conditions pay the price when the dominant free expression groups continue to focus on the advancement of their own interests. Such a focus frequently results in funds being spent in a questionable manner. This pattern repeats itself in dozens of countries around the world. Add to the list the number of journalists killed in war zones and the stringent control of journalism in many newsrooms, and its clear that journalists and media are under heavy attack. To bring awareness to the number of attacks on free expression, UNESCO sponsors World Press Freedom Day every May 3. Free expression groups are reporting that the number of journalists killed on the job has escalated dramatically in recent years. One organisation, Paris-based Reporters Without Borders (RSF), says that 81 journalists and 32 media assistants were killed last year. Thats the highest total since 1994, and is due in part to the number killed in Iraq. Another group, the Committee to Protect Journalists (CPJ), reports there were 134 journalists and 49 internet journalists in prison. In addition, hundreds of journalists were attacked and beaten, and several newsrooms were bombed. But does it have to be this way? Are the more than 100 non-governmental organisations (NGOs) and media groups that spend in excess of US$15 million a year investigating, monitoring, and trying to ameliorate attacks on journalists and on media freedom doing everything possible to reduce the attacks, killings, and many forms of censorship? In the late 1970s, physical attacks on journalists in the Latin American countries of Argentina, Uruguay, and El Salvador made headlines around the globe. Dozens of journalists were tortured and murdered, sometimes for investigating corruption or drug dealings, but just as often for pursuing stories that would have been considered quite routine in developed countries. As a result of these attacks, a new breed of organisation  the press freedom group  began to spring up in many developed countries to campaign in defence of those being attacked and killed, first in Latin America, then in Africa, and ultimately in other parts of the world. Initially, groups were funded largely by donations from individual journalists and media companies, and later by grants from western governments and foundations, which viewed media protection as a vital component of human rights protection and the development of democracy. By the late 1980s, about a dozen free expression groups  all located in Western countries  were in operation. Although some of these organisations met annually to discuss free expression issues, there was very little cooperation. In fact, rivalries developed. Groups manoeuvred to see which one could develop a particular programme first, or to see who could report on a case first. But the greatest rivalry developed over access to the increasing pot of money available from donors: competition for financial support led to secrecy about activities rather than cooperation on programmes. In 1992, pressure was exerted on the ever-increasing number of free expression groups to join ranks and work more closely together. While in New York for a United Nations conference on refugees that year, four press freedom organisations individually visited The Ford Foundation, each acting in isolation from the others and asking for funding for their own pet projects. Frustrated by the failure of the groups to work together, the Ford programme officer called a meeting and told the groups that they needed to establish mechanisms that would allow them to carry out fundraising in a more coordinated way and to implement more effective programmes. In this way, the impetus for a more efficient and more effective approach to the worlds free expression issues came not from the free expression community itself, but from a prominent donor. To their credit, the groups warmed to part of the message coming from Ford. Within a year, agreement was reached to have Canadian Journalists for Free Expression (CJFE) manage the activities of a new network, the International Freedom of Expression eXchange (IFEX), out of Toronto. The creation of IFEX led groups to increase their cooperation in some areas, such as the distribution of action alert reports by e-mail, and the creation of a weekly e-mail newsletter that described developments in the free expression community. The Canadians also raised funds to help support new free expression groups that were springing up in many developing countries, thus, for the first time, giving those most directly affected by attacks on their rights an opportunity to play a role in their own defence. But when IFEX held its second annual meeting it became clear that some of the largest and best-funded members had no interest in empowering their network so that it could help develop collective policies or large-scale campaigns. They wanted individual groups to have all the power. Soon after, three of the original founders of the network  the International Federation of Journalists (IFJ), the World Association of Newspapers (WAN), and Reporters Without Borders (RSF)  expressed apprehension that the growth of independent groups in developing countries, as well as IFEXs overall popularity, would undermine their own interests. The three groups put forward a motion at a board meeting that any one of the founding members of IFEX would have a veto that would allow them to stop any major change or development in the organisation they disapproved of. The resolution was defeated. Had the veto been approved, support for groups in developing countries would almost certainly have been curtailed, and a weakened IFEX likely would not have survived. Yet, IFEX not only survived, it flourished. Most significantly, IFEXs Toronto-based Outreach Programme has helped build and develop more than 40 free expression groups throughout the developing world and the newly independent states. The work of IFEX and the more than 100 groups that now exist has substantially increased the profile of free expression around the globe and reaffirmed its status as a vital component of democratic development. There is no doubt that some campaigns by IFEX members, aided by the support of other groups, such as Amnesty International, and the intervention of Northern donor governments, resulted in journalists being saved from torture or execution. Unfortunately, beyond their cooperation in IFEX, there are few examples of high-profile or highly successful activities involving the pooling of resources among press freedom groups. In one cooperative venture through IFEX, where groups maintain their own autonomy, about 15 organisations are pressuring the Tunisian government to allow some degree of press freedom. In other instances, two or three groups will sometimes work together to develop strategies for a particular case, to advance legislation relating to media in a restrictive country, or to conduct a joint mission to investigate conditions in a country and issue a joint report at the conclusion of the project. But, despite such initiatives, and despite having in the IFEX network the perfect vehicle at their disposal, the free expression community has failed to overcome much of its own narrow interest and has not brought significant change to the status of free expression around the globe. The Ford Foundations urging that groups work more closely as a united force has largely gone ignored. The idea of pooling huge resources in the millions of dollars to conduct massive campaigning programs has never been given serious consideration. All major Eestern groups have clearly demonstrated, and have said openly, that their own activities and programmes are of paramount importance. Old rivalries continue and new ones have developed. 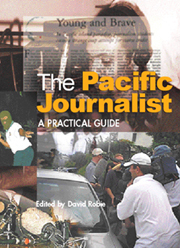 In countries where journalists are being threatened and killed  for instance, the Philippines, Colombia, or the Democratic Republic of Congo  as many as four to six Northern groups carry out their individual activities, generally paying little attention to the similar work of other groups, both Northern and local. When a serious incident occurs, such as an attack on a journalist, usually in a developing country, as many as six Northern groups independently gather information on the case, duplicating effort and wasting resources. Although one of the main reasons behind the creation of IFEX was to have it systematically organise and distribute Action Alerts prepared by the many individual groups, perhaps as many as 20 groups continue to distribute their own alerts in addition to having them circulated by IFEX. This is an extra cost and still means that human rights activists may receive as many as a half-dozen alerts on the same case. At least five Northern groups cover many of the same cases by publishing their own newsletters and preparing costly annual reports concerning attacks on media. Members of the donor community must accept some responsibility for the fact that there is waste in the free expression community, as well as the fact that there is no well-focused common strategy to stop the killings, attacks, and censorship. Donors cant agree on priorities among themselves, and this is a major reason why more than 100 free expression groups  mostly with differing objectives  are funded around the globe. An effort to bring together the worlds top 30 or so donors for the media/free expression field in order to develop more common approaches to issues appears to be floundering. A couple of small groups of donors are setting common goals and objectives, but, for the large part, many donors are just as guilty as the free expression and media development groups of working in isolation of other donors. The amount of money available to the press freedom community increased by leaps and bounds for about a dozen years, but many NGOs now say that funds are shrinking. If there is less money available, an obvious response would be for groups with similar activities to amalgamate and build a more efficient and more powerful machine to defend free expression. No one can say with certainty that there would be improvements in free expression and that fewer journalists would be killed if groups pooled some of their resources and adopted more dynamic campaigning and lobbying techniques. Broad-based, concerted efforts surely cannot be less successful that current practices. A research project was carried out by the Committee to Protect Journalists last year that shows how ineffective the free expression movement is in helping put the murderers of journalist in jail. CPJ researched the murders of 580 journalists over a period of 15 years and discovered that about 85 percent of the journalists killers faced neither investigation nor prosecution for their crimes. Moreover, when murders were investigated and some convictions obtained, those behind the killings were brought to justice in only seven percent of the cases. This is an important measure, because if only seven percent of the killers are going to jail, such a small conviction rate does not serve as a deterrent against the killing of more journalists. Faced with such a depressing situation, will the press freedom community adopt some new tactics beyond sending e-mails and the occasional mission to countries to help cut down on the number of killings and serious assaults? With the exception of Reporters Without Borders, most of the worlds free expression groups seldom adopt activist tactics. Groups sprang out of the journalism and human rights communities, and neither take well to being too impolite or causing a disturbance. But with journalists being jailed and killed at the same rate as 30 years ago, more aggressive tactics would seem to be called for. Depending on the circumstances, a case can be made for civil disobedience such as sit-ins and marches, for economic sanctions against offending countries, and for aggressive litigation. Collectively, free expression organisations spend hundreds of thousands of dollars annually on researching and documenting threats and attacks that already have occurred. They spend very little on developing pro-active strategies to try to cut down on attacks before they occur. In addition, the lack of cooperation, openness, and trust among groups means that there is no "big picture" strategy with regard to tackling free expression issues. Most of the murders are related to investigations of corruption, narcotics, and other illegal activities. The most recent victim was 41-year-old Mark Palacios, who worked for a government-run radio station. Palacios reported on corruption in the police and politics, and the police director speculated that he must have "earned the ire of scallywag policemen and politicians." Despite the governments promises and cash rewards, only a handful of the murders carried out in the Philippines have been solved. And what has been the response of the free expression community to the murder of an average of more than eight journalists per year for six years? Amazingly, the large and wealthy organisations have done little beyond meticulously researching the deaths, faxing and emailing protest letters of concern to the government, and occasionally sending missions to the country to report on the situation. The lives of so many Philippine journalists should be worth a greater effort. Perhaps a more effective response could be an action project model pursued several years ago in the United States. In the 1970s a journalist at the Arizona Republic, Don Bolles, was one of Americas most capable investigative reporters. In the middle of one of his corruption investigations, someone attached six sticks of dynamite to the ignition of his car. Bolles died as a result of the explosion. During a bizarre string of court proceedings over nearly 15 years three men served time for Bolless murder, but many US journalists were not satisfied with the result. Thirty-eight journalists came together in a team effort and spent months in Arizona unearthing organized crime networks. What became known as the Arizona Project produced a series of 23 stories on organised crime and corruption that appeared in many newspapers across the US. Organized crime in the state was exposed and largely shut down. The world press freedom movement has the resources and skills to launch an Arizona Project type investigation in the Philippines to expose the many murderers who have never been identified. A special team could include some of the Philippines top investigative reporters as well as those from other countries. Because of the complicity of some members of the police in the Philippines, only such a large-scale and fully independent investigation will likely put more of the murderers behind bars. If such a project were to work in Philippines, then another investigative team could be brought together to work in another country. The goal, ultimately, would be that anyone, anywhere, who kills a journalist should expect to go to jail. For many years now, there has been discussion in the free expression community, both among donors and free expression groups, about the need to empower the South, to shift programmes from the North to communities that are living with the fear and repression generated by killings, intimidation, censorship, and other threats to press freedom. It is time to turn rhetoric into action, and to begin developing meaningful programs that tackle issues head on  not just documenting and feebly protesting attacks. One wonders if the real power and financial resources were held in Manila instead of New York, Paris and Brussels if eight journalists per year for six years would be killed just like clockwork in the Philippines. Nick Fillmore, currently a Canadian independent NGO development fundraiser, is a founding member and former executive director and director of development of CJFE and IFEX. Copyright © 2007 David Robie and Asia-Pacific Network. This document is for educational and research use. Please seek permission for publication.